Two weeks ago Red Frog were at the university talking about animation stuff and a Tecnocampus business student, asked us if we wanted to do a video for his future company. They are developing an application to offer services to university students and they need a video to show to investors and other people. The problem was that it should be finished at 10th february. We decided it could be great and it was not a very big problem for us. We decided that I was the indicate member of the group to do this work because I had skills and time to do it, so I absorbed the 90% of this work. He wanted a 20-30 seconds video that showed his application and convey the idea of community, because it’s an app to communities. 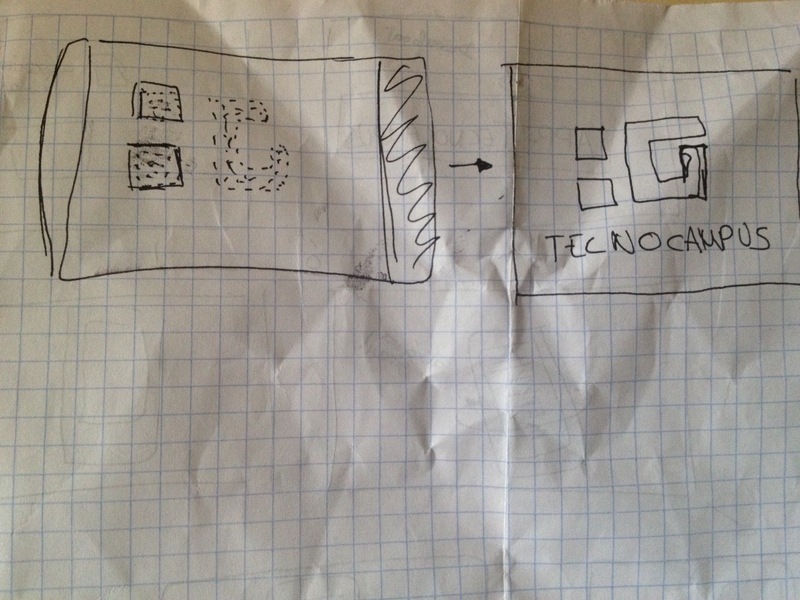 He said that the Tecnocampus logo was to be very strong. 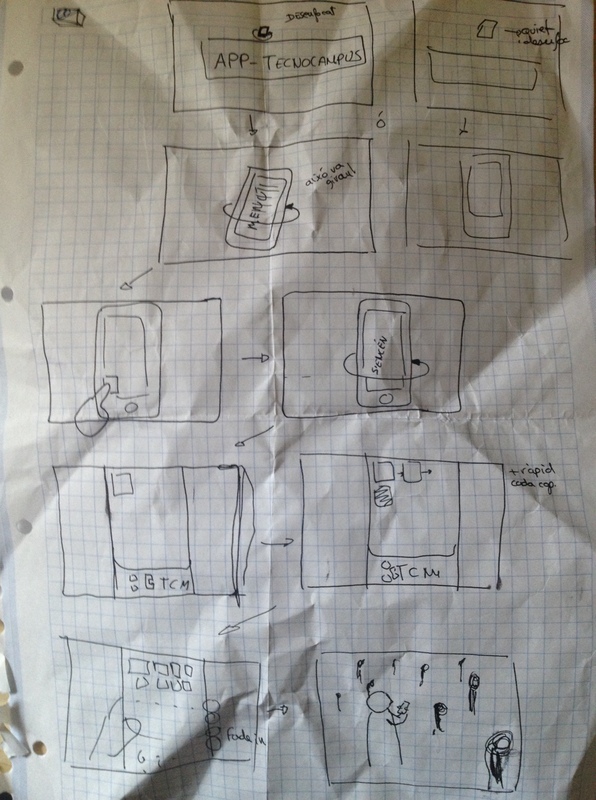 After tat we did an storyboard. The idea was that it has to appear an iPhone that shows the application and then people using it. I’m working in this project using Cinema4D because I did the same C4D lessons than Raul and Sergi. Posted on March 7, 2013, in Creative Futures. Bookmark the permalink. Leave a comment.